Today we talk about car tips and tricks.we know Regular check-up of your vehicle is important. For better services, every car owner has to analyze their vehicle regularly. Most of the accidents occur by negligence in the proper care of car maintenance. A motor car needs proper professional checking twice in a month. If you find any leakage or defect in the engine on which the fuel burns on the tank you have to take special care. To maintain an appropriate care of a motor vehicle a responsive use of definite fuel has to keep in your sense. 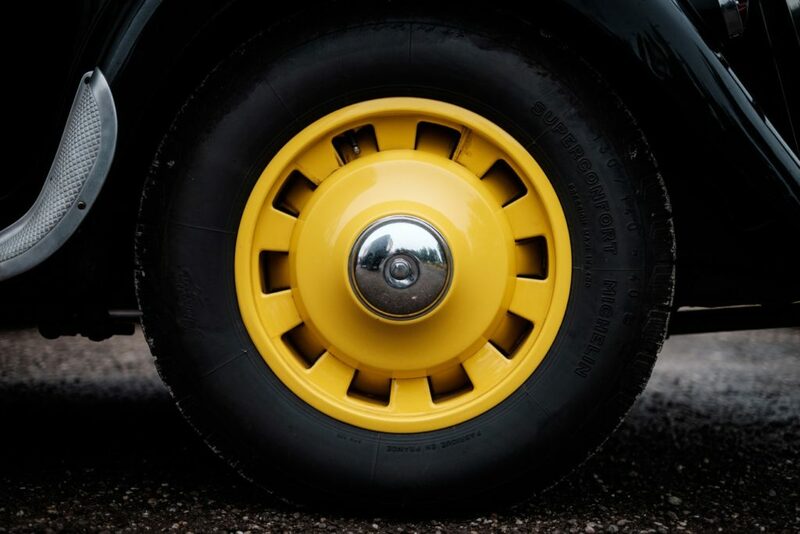 Choosing the best quality tires for your car wheel is also included in proper maintenance. Before riding in your car an inquiry of break-section can provide a safe journey. So conservation of your motor car ensures safe driving. Car wheels, inside the rubber-made air-tubes, are installed. After a long-time using these tubes become frail and may puncture. People think about the huge expenses so they often neglect to have their motor vehicle get a routine checkup. But faulty system unit usually causes the fatal accident every day. The cost of loss of road accident of a defected vehicle is more expensive than maintaining charges. So driving in the traffic area with unfit transportation is dangerous for you. There are exact car maintenance measures that one has to regularly undertake. Keeping your car clean is as important as your house. Similarly, the exterior body, cleaning the interior parts is also a vital fact. It is not hard work to clean your vehicle. Just twice in a month, clean with car-washing soap and unreachable parts vacuum cleaner. Keeping a bin on your car is argent. It is available in market at a cheap price for waste things in your car. Avoid taking food in the car, especially during driving. Several types of equipment are needed for changing the oil filter of your car such as a new oil filter, socket wrench, oil filter wrench, oil pan, a funnel, newspapers, rags. First of all, jacked the car up, locate the oil pan and drain plug. Spread the newspaper and placed an oil pan under the car. Loosen the drain plug with a wrench and turn it counterclockwise. Let the old oil dropped out and reinstall the drain plug. Locate the oil filter and lose it and remove it by hand. Apply some motor oil to the new gasket. Then install and tighten the new oil filter by hand. Then filled the engine with new oil. A dirty windshield can obstruct your view during driving and also makes your car look grimy. Dirt, bugs, birds-crap always accumulates on your car windshield if you don’t park your car in the right spot. This is a disgusting fact and that’s why regular washing of your car is important. Luckily, there are some simple techniques that keep your windshield clean and prepared. In the market, you will find a huge number of varieties products available with deep cleaning action and excellent efficiency. However, avoid those cleaners that contain Ammonia otherwise it can damage your car glass so be careful while choosing the best product. If you really want to follow this care tips and tricks. These things like Tire pressure gauge, air compressor, pen, and paper are needed for measuring tire pressure. Cold tires are recommended for measuring tire pressure. Then find out pounds per square inch(PSI) of the front and rear tires. If these two pressures are found level then write down correct PSI. Then, place the pressure gauge removing the valve cap from one tire. The pressure gauge is to press too hard to disappear the sound and note down the gauge reading. If reading is low, adding to air with an air compressor is required. If it is high then release air until correct pressure is shown in gauge. Then replace the cap. Are the Headlights Ready for Your Next Road Trip? Headlights are extremely important that’s why we featured in our car tips and tricks section. while you are driving at night and without headlights, driving at dark is dangerous for you and for the other vehicles on the road. The point to be noted that headlights are an active safety item and driver’s first line defense on the road. Before hitting the road, drivers should check their vehicle is ready for driving or not, especially you must check the headlights in the front of your car. The front side of your car should be visible while driving a motor car. Blurred light means you are totally blind and can face fatal accident as other drivers cannot see your existence on the road. Headlights can dim over time, so replacement before burnout is suggested. Thousands of gallons fuel burns inside of your car tank every year and that’s the reason you should clean your tank after a certain time. It is inevitable that some debris and sediment will end up in the tank, and rust will most likely develop as well. Cleaning your fuel tank from time to time is an important task to help prolong the life of not only motor car’s fuel filter, but also your engine. Before replacing a defective fuel pump with a fresh one, the old tank should be properly cleaned to clear old debris. You can use the remaining oil in the tank to clean the tank. Along with proper swelling, knowing how to measure your tread depth is an essential skill for tire maintenance. The tread depth affects handling and provides grips with the road surface. There are three ways to measure tread depth. All the ways inform you, your tire is about to blast and now its time to get a new one. A new car tire begins life with approximately 8-9mm of tread depth. It’s safe with the reach to 2mm for driving. We recommend the right manner and the proper way is to use the gauge. It is cheap in cost and can be employed for both 32nds of an inch and millimeter measurement. You can apply the penny test as well, use a coin and examine how deep it extends into the tread’s depth. Check your car’s oil level at least once a month and it’s important to make sure that there is sufficient oil. Oil reduces the friction in your car engine to keep it running smoothly. Make sure it’s not contaminated. When you check the oil, if it smells of gasoline, then it is time to change it now. You should check the oil level using the oil dipstick. If dirt is found clean it up and if your oil is clean, but only reaches the “Add” part of the dipstick, then you need to pour more oil. Caring for the paint coating on your vehicle is one of the best ways to keep it looking brand new all year round. Painting provides the protective coating over your motor car so it’s important for extra care. Wash your car regularly, it’s one of the best solutions for keeping it free from dirt. But keep in mind never use such a thing that can damage your car’s exterior metal body. Avoid using normal dish soap, laundry soap or any chemical products that can damage your car painting. 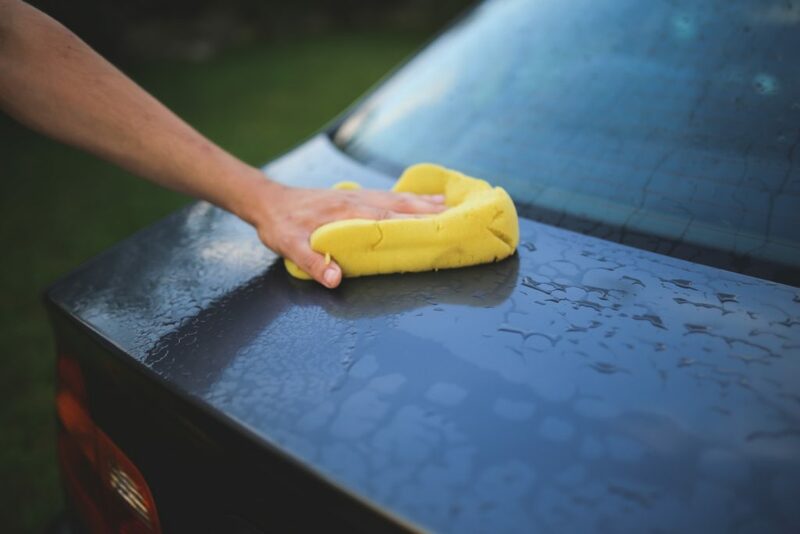 After washing your car make the car surface dry with a foam or soft fabric for better finishing. Without awareness, you might be the victim of some serious casualties. You may not always find someone handy or you could hurt yourself by electrification of the battery. To avoid battery acid you must know the procedure. Moreover, the proper order of replacing battery could save your car from blasting and could provide long-lasting service. 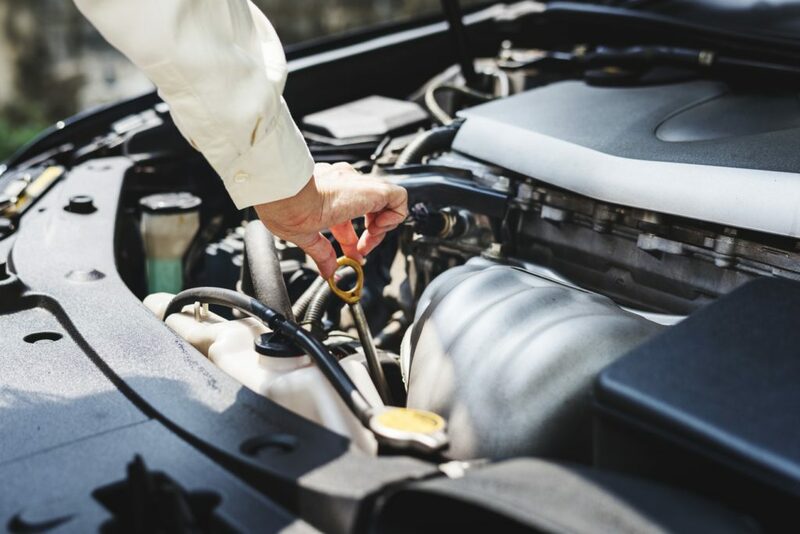 First thing first, to replace a car battery, make sure you take in the following tools: New battery, Gloves, Socket wrench, and Terminal Pads. Firstly, Wear the gloves, unplug the black-capped negative terminal then remove the red-capped positive terminal. Afterward, Loosen the safety bracket, then reinstall the new battery and reconnect the bracket. Place the pads on top of the terminal. At the terminal, attach the positive end first, then the negative terminal.so for today that’s it in car tips and tricks.